Age of Empires can be called a classic real-time strategy game. Originally released in 1997 by Ensemble Studios, gamers build an economy to collect resources and create armies to take down opponents. A little over 20 years later, Age of Empires: Definitive Edition modernizes the original title without removing too much of the classic feel. One of the most obvious new improvements is the addition of an in-game tech tree. 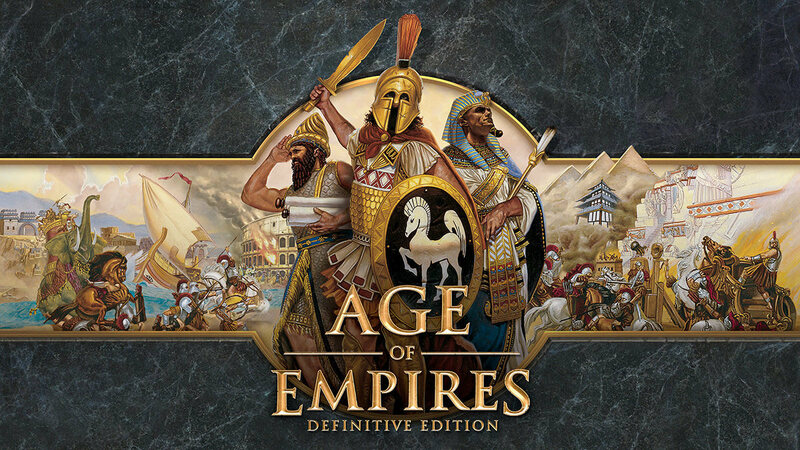 Age of Empires II: Age of Kings brought this luxury but it will now also be found in the remastered version of the original. All game assets have been updated to support 4K gameplay. Back in 1997, you would be hard pressed to play above 1280 x 1024. Another major change is the introduction of proper online connectivity. Multiplayer mode is supported through Xbox Live as well as over LAN. Setting up a game with friends used to take quite some time, especially if your phone line was in use, preventing any phone calls to them. Campaigns now have narration for all missions. The scenario and campaign editor has been improved to simplify creation of custom maps. Players are able to share their custom work via AgeOfEmpires.com. If anyone is interested in trying out the remastered version a little early, beta access is open to 100,000 new players before registration closes on January 25 at noon Eastern Standard Time. Registered beta users will be notified and granted access to the game on January 29th. The final rendition of Age of Empires: Definitive Edition will launch on February 20th and will be available worldwide for Windows 10 PCs. It will be listed at $19.99 USD and available through the Store app on Windows 10.